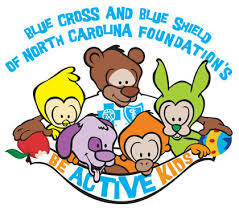 Be Active Kids a new an innovative, interactive health program for children ages birth to five that is being offered at Bladen Smart Start. It is available to adults working in child care centers, child care homes, and schools across Bladen County. This evidence-based and evidence-informed messages are carried out through five cuddly and adventurous characters including Blue the caring cub, Glide the bird, Swing the monkey, Leap the rabbit and Dart the dog. Using these characters as their guides, children can engage in playful experiences, interact with a story, explore their natural surroundings, and much more. © 2019 Bladen Smart Start. All Rights Reserved.